On reaching the Hospet railway station, transfer to the hotel and check in. 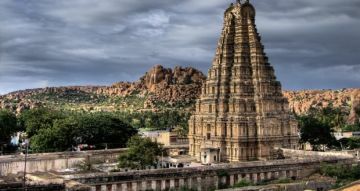 After relaxing for a while, pay a visit to the famous temples of Hampi like Virupaksha Temple, Achyutaraya Temple, Hemakuta Hill Temple, Sasivekalu Ganesha Temple and Kadalekalu Ganesha Temple. 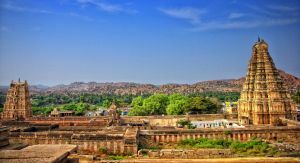 After a delicious breakfast, proceed towards Badami. 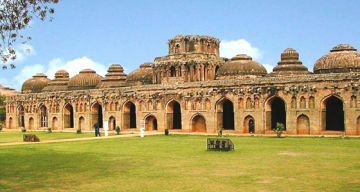 On arrival, visit the group of monuments at Pattadakal, Jain Narayana Temple, Mallikarjuna and Kashi Vishwanatha Temples, Sangameswara Temple and Papanatha Temple. 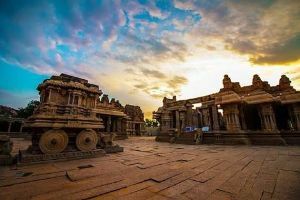 After a tasty breakfast, check out and proceed to the ious temples, Pampa Saro, Hampi Bazaar, Hanuman Temple, Monolithic Bull, Sunset Point and Mathanga Hill. Finally, head to the Hospet railway station for your onward journey.